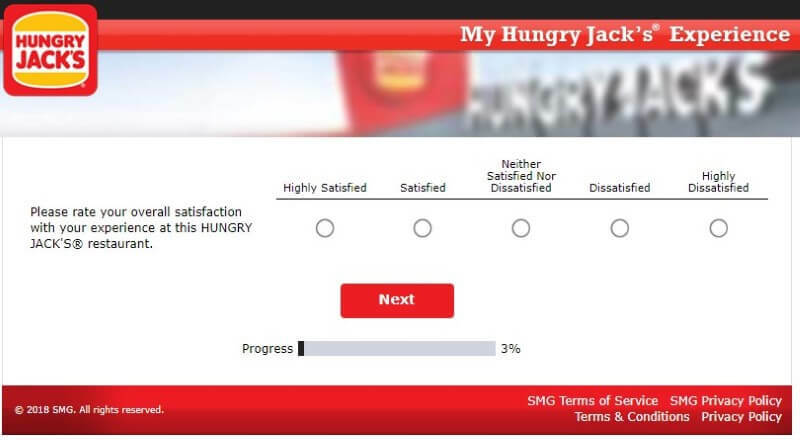 Take Hungry Jack’s official survey experience – www.myhjexperience.com – and get rewarded with a Free Small Chips & Free Small Drink! 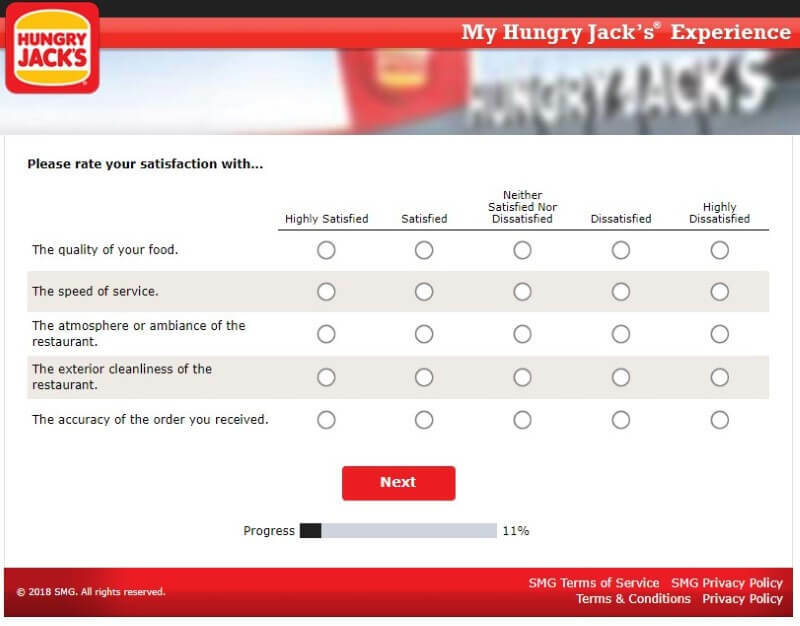 All you have to do is give them your feedback and share your opinion. 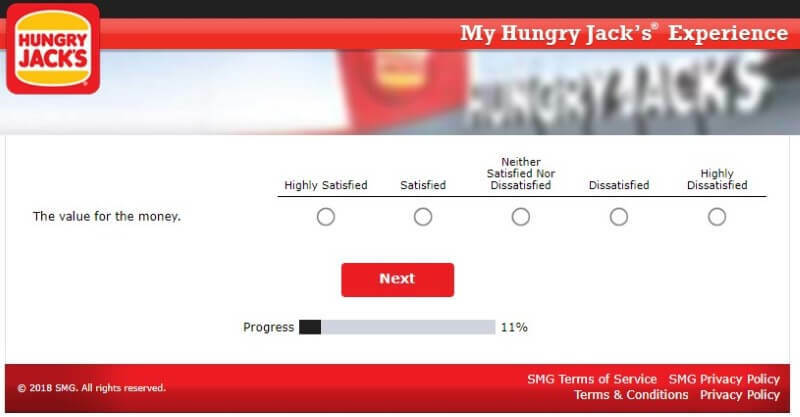 Hungry Jack’s, one of Australia’s leading fast food restaurants and arguably the creator’s of Australia’s best burgers, wants to hear what you think! Are their burgers really the best? Take the survey and let them know what you think at MyHJExperience. Good news! 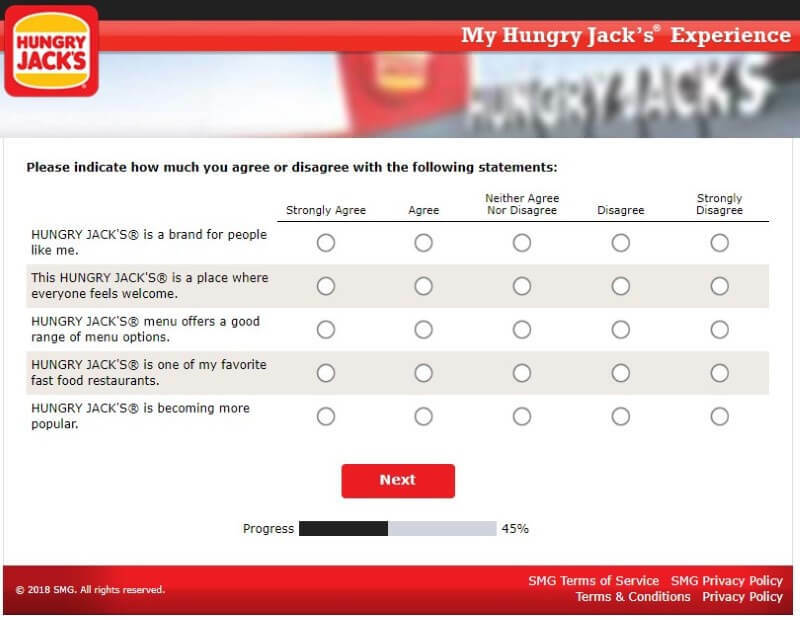 There aren’t any real rules to this survey. 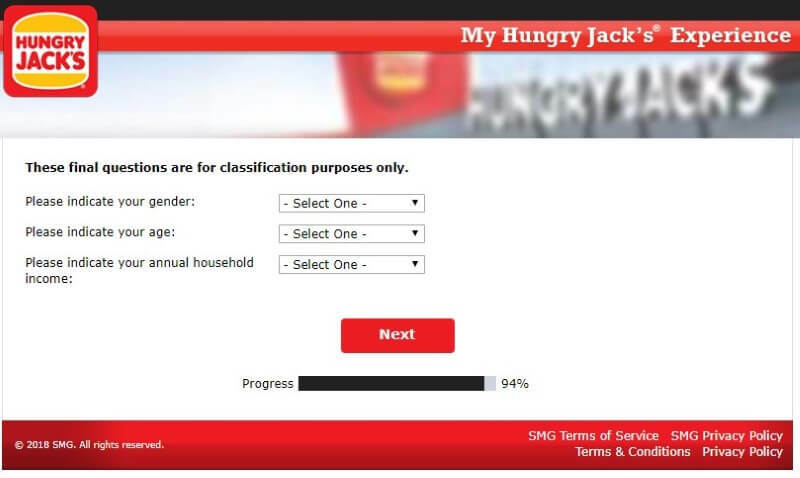 Hungry Jack’s doesn’t care how old you are, they don’t care where you come from, and they don’t care where you live. 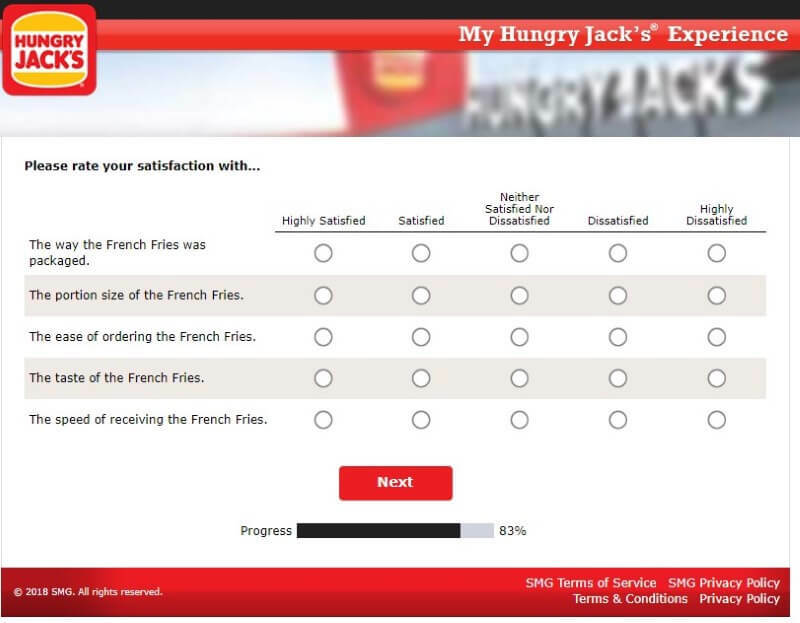 All they want to know is what you think of their burgers, fries, and drinks! 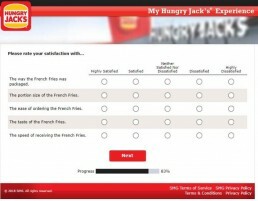 The only technical rule is that you need a valid survey code. And you can only get one by buying something from them (it’s on the receipt). Oh! And remember to keep the original receipt – it’s what you’ll use you claim your Free Fries & Drink after you’ve told them about your experience. If you like, you can download the official terms and conditions here. 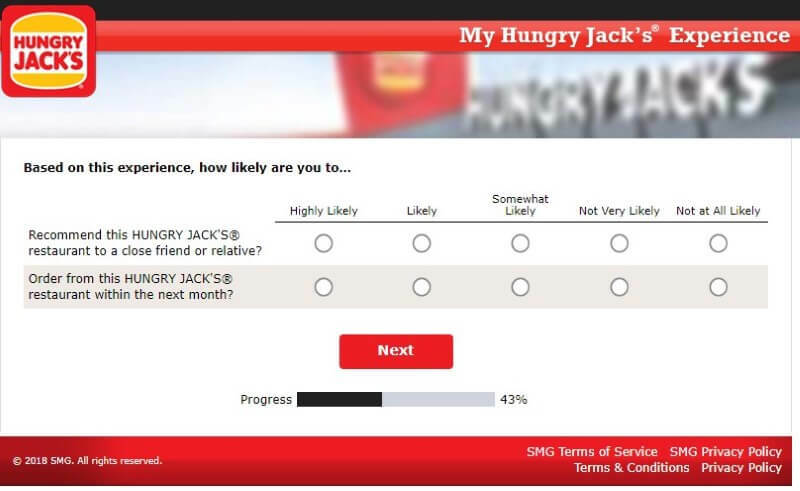 You’ll need two pieces of information before you can start the survey. Please note that note all receipts will have a survey code on it. Visit their website which has the survey (below) on any compatible electronic device (computer, phone, tablet etc). I normally do these on my computer because it’s the fastest. All done! On the final screen you’ll receive a Validation Code. Write this code on the line at the very bottom of your receipt. 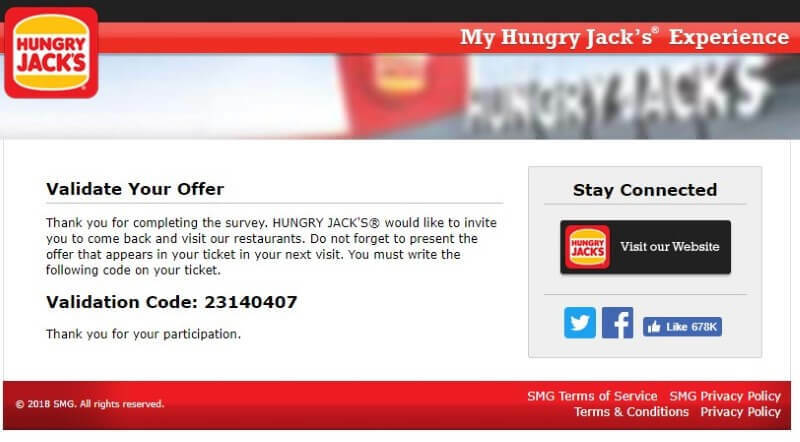 Next, visit Hungry Jack’s in the next 30 days, buy any burger on their menu, present the receipt, and you’ll get a Free Small Fries & Soft Drink to go with it. 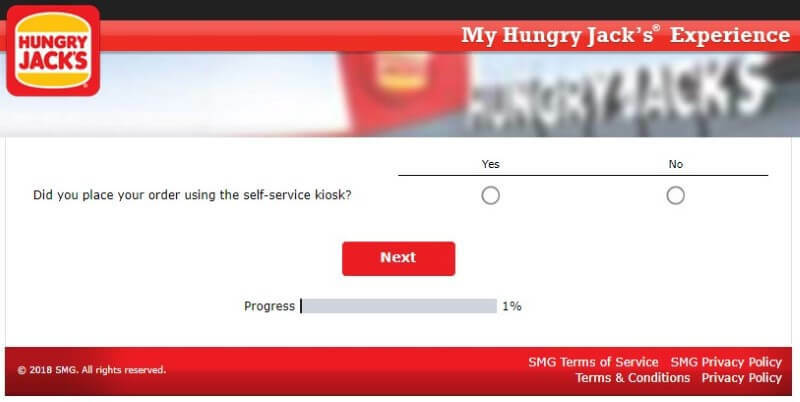 Did you order using a self-service checkout? How many people did you go with? What was your overall experience with them? How was the temperature of your food? 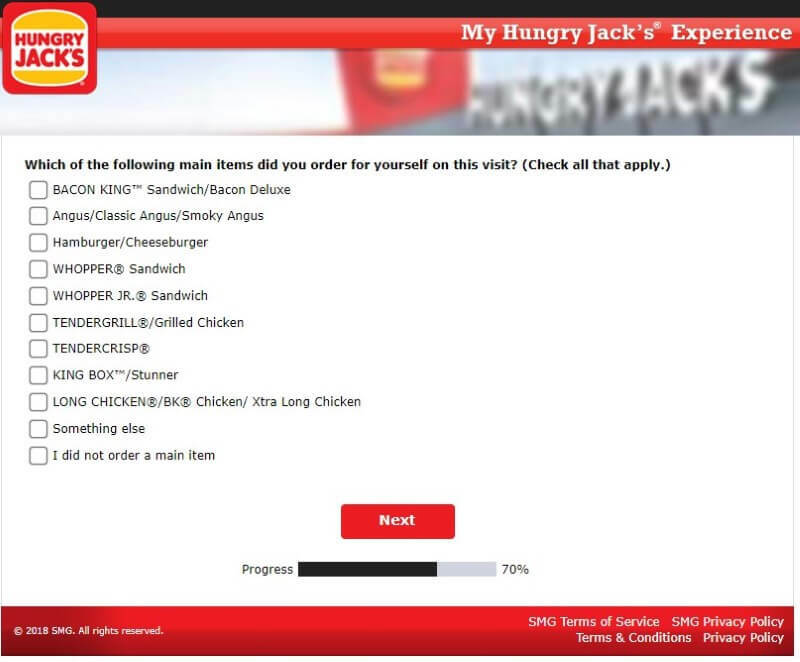 Was it easy to place your order? 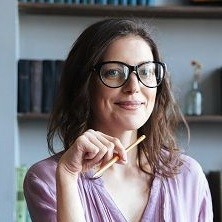 How was the interior cleanliness of the restaurant? Were the staff friendly and presentable? Do you think you got value for money? Before you ask – yes! Hungry Jack’s is Australia’s version of Burger King in the United States. 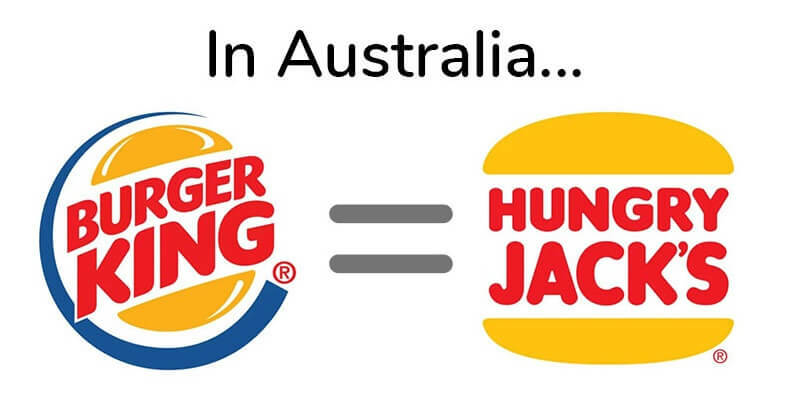 It’s called Hungry Jack’s because the name, Burger King, was already taken when they wanted to grow their business in Australia. 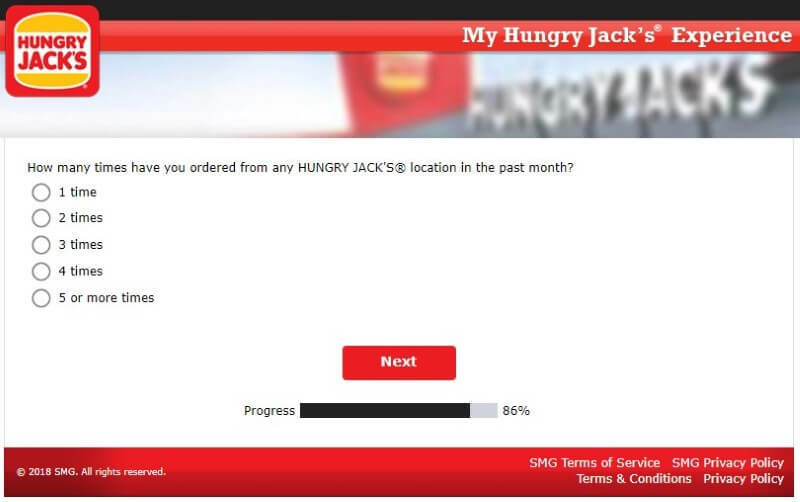 A small takeaway shop in Adelaide already had the name, so they decided on Hungry Jack’s instead! 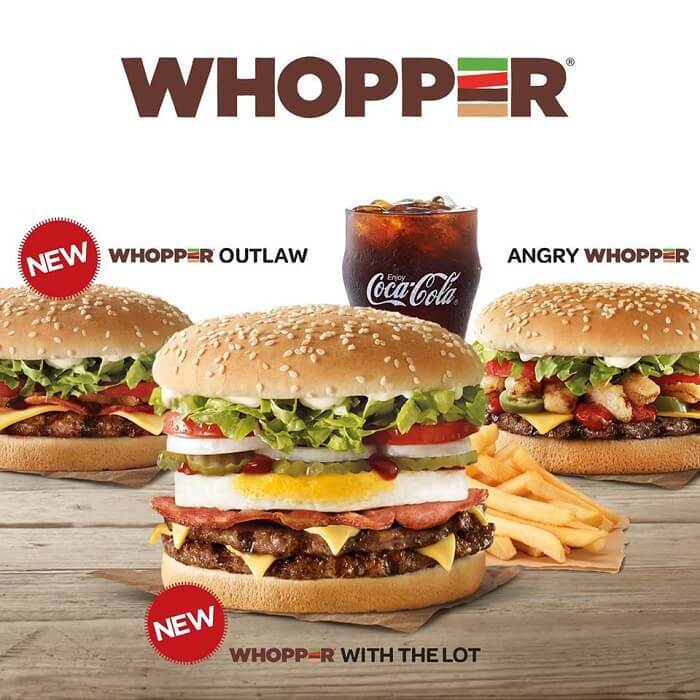 Today, they’re one of the biggest burger joints in Australia. Their parent company, Competitive Foods Australia, actually owns KFC as well! They must love their fast food over there 😛 A man by the name of Jack Cowin owns the parent business – and he’s worth over $1.5 billion! At least he knows how valuable our opinions still are! You can grab one of their juicy burgers at more than 350 different locations around the country. 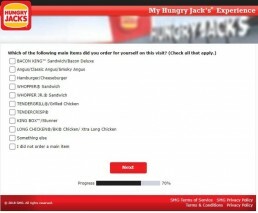 They compete heavily in the industry with the slogan – The Burgers Are Better At Hungry Jack’s. Remember to let them know if they actually are or not by taking the survey! 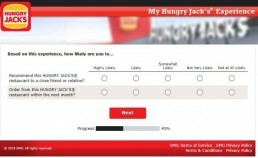 What do other people think about Hungry Jack’s? 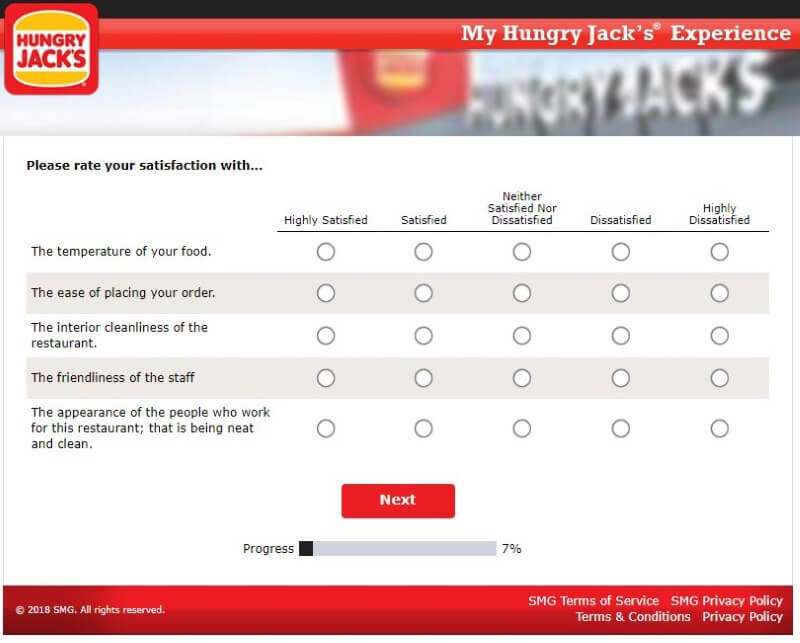 @HungryJacksAU Nth Sydney customer experience – Whopper was stone motherless cold. Terrible. Chips were great, ‘fresh n hot’ Had to repeat drink order 3 times. Similar experience at Circular Quay storefront. 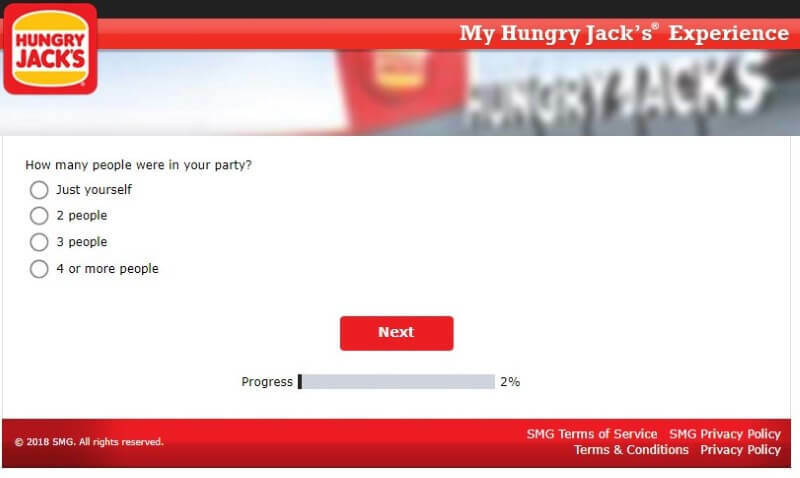 Slogan should be “Burgers are always cold at Hungry Jacks”. Fail!!! Otherwise, you can call them for free on 1300 852 326. Or you can see if your question’s already been answered on their FAQs.